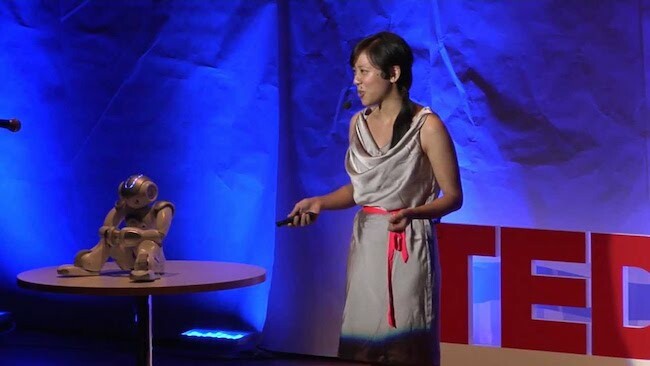 TEDxKL Human Roboticist Speaker Wonders: "What If Robots Have Feelings?" Just around the corner on 9th August 2014, the inspiring program modeled after TED is promising KL-lites (and anyone else willing to travel into the bustling capital of Malaysia) a fresh line-up of big, bold and beautiful presentations guaranteed to open perspectives into the imminent future. Resistance is certainly futile even as the venue itself this year looms large seemingly to have dropped right from outer space. As a run-up to the event, we present an exclusive interview with Dr. Angelica Lim – a roboticist (yes there is such a word) with not only brains but a HUGE heart for robots as well. So huge in fact that her work involves advocating the idea that robots are capable of more heart than we might think – and likewise perhaps deserve more heartfelt attention from the rest of the organic world. Born in the U.S., Angelica has a Ph.D. and M.sc. in Intelligence Science Informatics from Kyoto University where she built a novel robot emotion system based on human infant development. Her work on robots and artificial intelligence has spanned over 8 years including interning at tech giants Google Santa Monica, Honda Research Institute Japan, and I3S-CNRS in France. 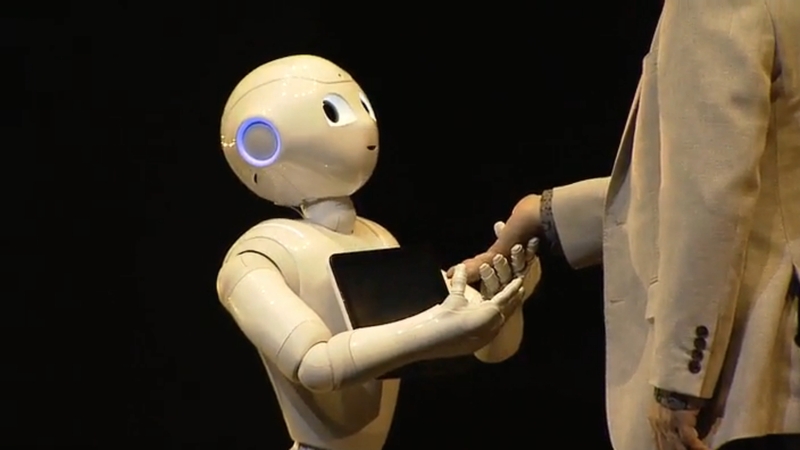 Most recently she is a key member to the Pepper humanoid robot project with Softbank and Aldebaran Robotics. Find out more below on what makes this scientist tick and why her work deserves notable attention with far reaching implications for the future. My mom was a mathematician and a programmer for almost 30 years. My dad is a computer hardware guy, and I grew up playing with the computers he built around the house. I guess it was through their combined influence that I decided to become a roboticist! I went on to study computer science, because I liked languages and I wanted to learn how to speak to machines. “Some people think that roboticists only build robot hardware. I could probably be described as always smiling, adventurous, hard-working, someone who travels too much and is also really cheesy, weird and down to earth. I love discussions about A.I. and robotics and could talk about it for hours. I also love puns. My parents are Filipino-Chinese, but unfortunately I can speak neither Tagalog nor Chinese 🙁 I speak English, French, and Japanese, and can understand some Tagalog and Fujian dialect. Since I was a kid I’ve always wanted to be either an inventor, or a music teacher. 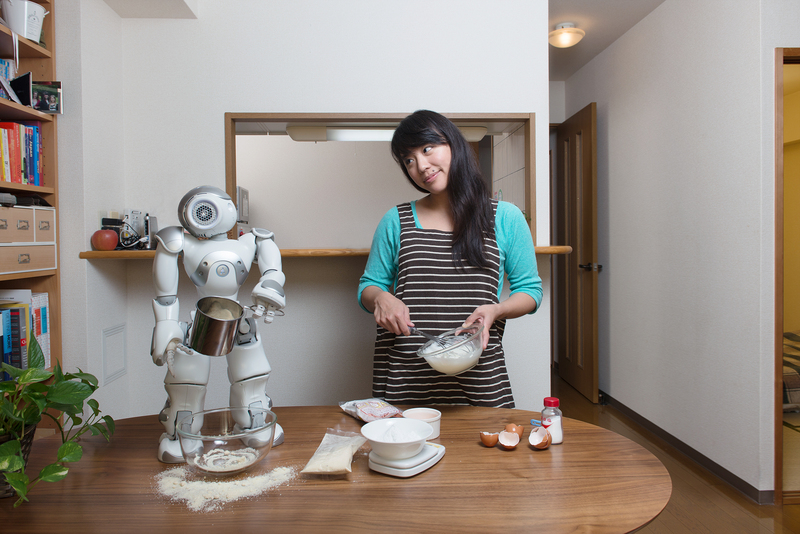 My two loves came together in Japan when I was making music-playing robots at Kyoto University. In 2011, I bought my NAO robot so I could try programming my robot at home. Now my unboxing video of this robot has received over 120,000 views! But, it’s too embarrassing a video, so I won’t provide you the link 😛 Recently, I was one of the first engineers in Japan to work on a special robot called Pepper, which will be the first personal robot widely sold to households next year. For me, I believe that building robots is a creative endeavour. It requires knowing about psychology, philosophy, computer science, and intelligence. One needs to know about culture and feeling and expression, just like how actors can portray many different personalities. We need to know how humans work in order to build robots that can live among us. I think it’s fascinating because in the end, robotics is about humans. I also dream of making robots in the home, cooking and cleaning to give us more time to spend with our family and loved ones. This is a goal of mine during my lifetime. There is a particularly pressing need among the elderly population in countries such as Japan. What happens when there are not enough helpers and carers to take care of us when we age? I have a friend whose grandmother is unable to take a bath by herself, so she must wait until her nurse comes to wash her, which is twice a week at best. Is this really the best solution? How can we provide a high quality of life? So yes, robots to support us and our loved ones, to help fill in the gaps, and provide care to support (but not replace) humans. 3. 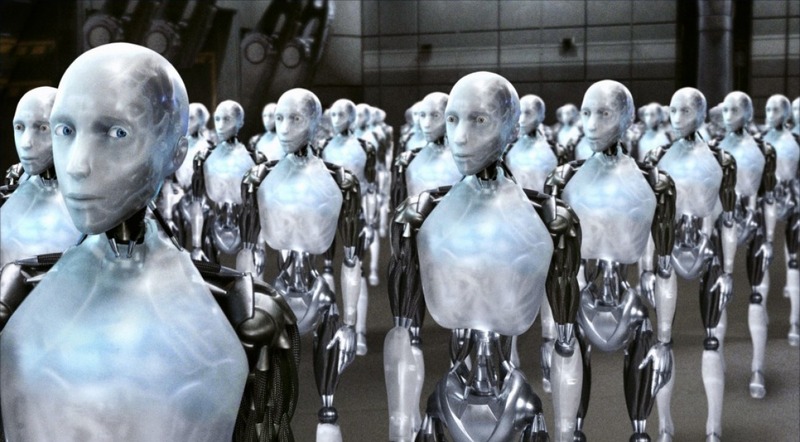 Are robots more similar to humans than we think? It’s funny because the more a machine looks like a human (or animal), the more we have a tendency to call it a robot. Consider that there are large factory machines that churn out everything from spaghetti to pencils. We call those machines, but as soon as we add human-like elements, we start calling it a robot arm, for example. These days some laundry machines are so sophisticated that it should be called a robot – it has sensors and motors and logic to link the environment to its behaviour. But we still consider it a machine. But, if we made a machine with a head and arms that washed your clothes by hand, that’d be a robot. Robots have elements in them that mimic humans, from cameras and microphones that mimic eyes and ears, to actuators for movement. And some robots, in a field called soft robotics (see my article in Spectrum on Kenshiro) are going further to actually mimic muscles and tendons. The brain is the hardest to mimic, because compared to our other organs, muscles and bones, we still don’t know how brains work. For example, how do we find beauty in music and art? How do we understand abstract concepts? How do we love and feel emotions? We experience these things every single day as humans, but in robotics they remain difficult, and fascinating questions. 4. Movies like Tron suggest that Artificial Intelligence (AI) may take over the world. How real is the threat? 5. What is the most useful application of robotics you’ve come across so far? For me, it’s the robots that were used at Fukushima after the 2011 Tsunami. They were our eyes and ears to check on the status of the reactors, where humans couldn’t go. My lab at Kyoto University also built a super-hearing snake robot that could wind its way into rubble and detect locations of people calling for help. I also just love the idea of a robot tutor to help kids with their homework. 6. What is the most interesting development in your work and how do you feel about it? Could a robot have feelings? 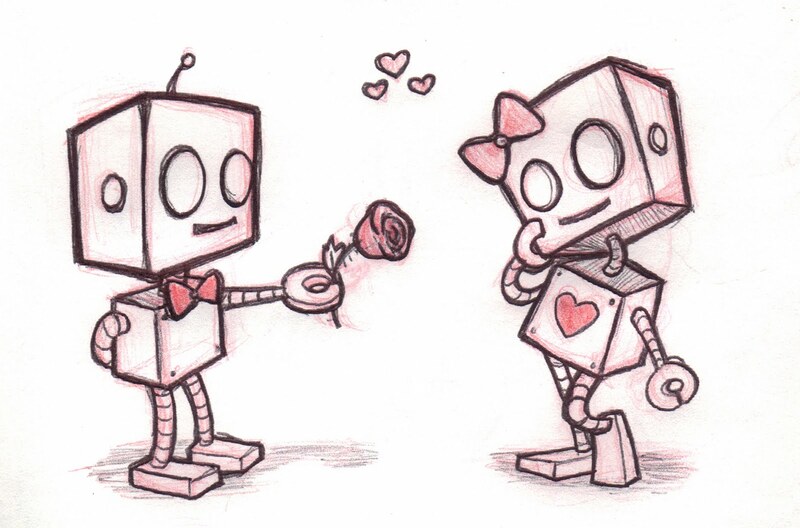 For example, when a robot says, “I love this!” does it mean it really loves it, or is it just saying that? In a paper to be published this year, I created and implemented a definition of feelings for robots, based on evidence in neuroscience and infant development. 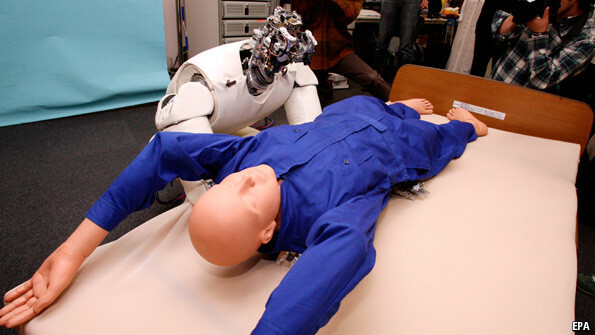 For many years, the concept of a robot “feeling” was a huge question mark. Roboticists preferred to stick to expression of emotions in robots, and not much deeper. While it feels strange to propose this theory because people are quite dubious to the idea that a robot could have real feelings, I think it’s important to tackle the question. Feelings could be the key to giving value, intuition and deep meaning to artificial intelligence. 7. What are your hopes for the TEDxKL conference and what can participants expect at your presentation? I hope to bring an “aha” moment to the participants of KL. 8. Any future plans in the pipeline? I’ll be working in a new position at the Aldebaran Robotics AI Lab as a permanent research scientist in Paris. We work on making a robot develop intelligence like a child does, in a field called developmental robotics. The move to Europe will be a big change for me after living in Japan for the last 6 years, but I’m sure my ties with Asia will always remain. 9. And advice for aspiring robot / AI researchers? Like Leonardo Da Vinci, be well-rounded. Study computer science AND psychology, neuroscience or biology. Look into the field of developmental robotics. It’s a new field at the intersection of computer science, robotics, infant developmental psychology and neuroscience, where the goal is to have a “robot that can learn like a child.” Tackle hard questions. Read lots of articles in psychology, neuroscience and biology to get insight into how human and animal intelligence works. Many decades have passed and the Holy Grail of A.I. has been overshadowed with practical applications, where more data is always the answer. An alternative A.I. will shoot for the moon, and the answer will lie with people who bring in fresh ideas from other fields. I’d like to recommend my favourite movies for your readers! Changing Batteries – my favourite robot movie, the one that has inspired me the most, was made in Malaysia! Thank you! Robot and Frank – a longer one your readers may also like. 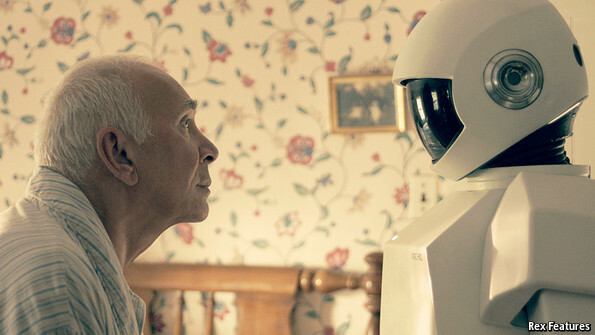 Her – directed by Spike Jonze, it is a good one about A.I and emotions. Also read: Robot ERO can recycle buildings!